Transitioning US military veterans interested in becoming entrepreneurs may not realize how much their military training and experience have already prepared them to be innovators. Being an entrepreneur is a lot like being a soldier. Survival for both is based on problem-solving, resiliency and risk-taking. Here’s a story from the Korean War that supports this. While this story is about US Marines, it could have been about Army soldiers, Navy sailors or Air Force airmen. All share the same mindset. It was late November in 1950 in the rugged Korean mountains around Chosin Reservoir. The First Marine Division was surrounded by 10 Chinese infantry divisions. With supply lines cut and temperatures hovering around -30°F, the Marines radioed an urgent request for “Tootsie Rolls.” This was the Marine code name for mortar ammo. Unfortunately, the radio operator who received the request misunderstood. So instead of ammo, he had actual pallet-loads of Tootsie Rolls dropped from the sky to the Marines. Here’s how the Marines leveraged that surprise delivery. For starters, the sugar in the chocolate candy provided instant energy to the starving men. They also discovered when the candy was warmed in their hands or chewed, it became pliable. This made it perfect for plugging holes in leaking fuel drums, gas tanks, and radiators. When the chocolate plugs froze, they sealed or “welded” the leaks shut. True innovation. The Marines’ fight against what seemed like impossible odds earned them the title of the “Chosin Few.” Their courage and resiliency enabled them to fight off the Chinese, break through enemy lines, and finally reach the sea. 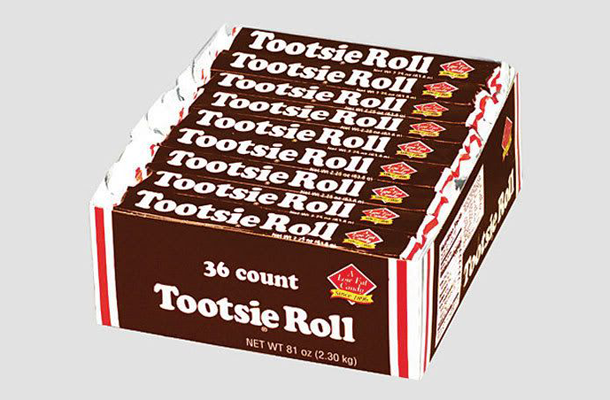 To this day, many credit their survival to Tootsie Rolls. By the way, with Veterans Day November 11th, it’s time to share USBA’s new Veterans Day eCard for 2016 with your favorite vets. It’s free.